Doxy Jekyll theme comes with Disqus comments enabled by default with themeix profile information. You need to change the shortname to use your own discuss comment system. 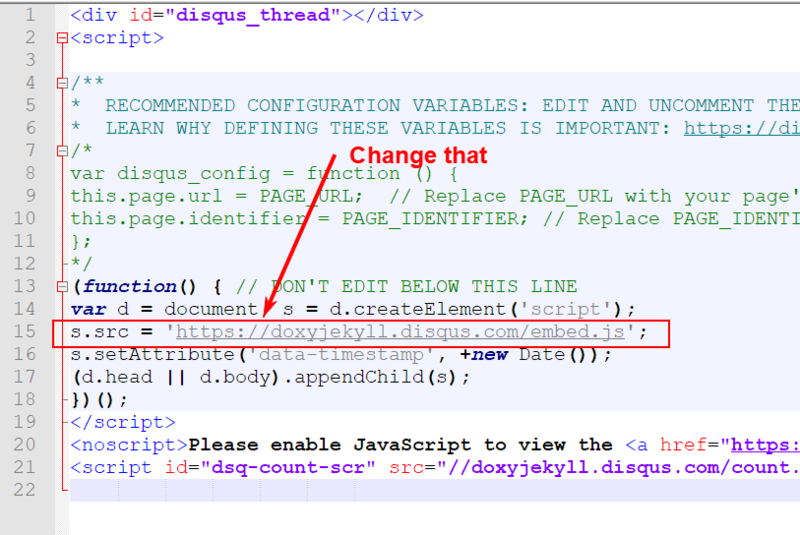 Open _includes/disqus_comment.html file, and change the doxyjekyll value on line number 15 with your Disqus account shortname. That’s all you need to setup Disqus from the theme side. If you get any issue feel free contact us.